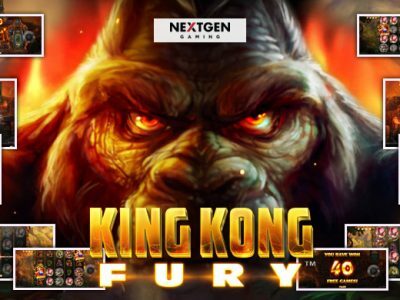 Get on the King Kong bandwagon, a powerful videoslot by the awesome developer Nextgen. 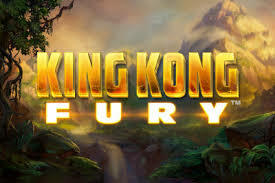 They sure know how to play on the hype, explaining why King Kong Fury is such a grand success. This game takes place on Skull island – same as in the movie – and is jampacked with exciting animations and imagery taking your breath away. The graphics are sharp and so are the so sound effect drawing you deep into the story straight away. So what do we know about Nextgen software? It’s a developer with plenty of experience and power in the industry. We’re excited about what they do now, but even more of what they’ll come up with in the future. It sure looks promising. They’re a pioneer in the technology of graphics and that’s exactly what you’ll taste in each slot they bring on the market. Nextgen gaming was created in 1999 and ever since lived up to its hype and good nae. They give players a more personal experience, which is done for example by symbols that allow manual placement by the player and also players have an option to choose their bonus games. With a jackpot of 250, a minimum coin size of 0.01 and a max of 20, there is a wide range of betting options. The jackpot isn’t a high one, but this dynamic game and generous betting range makes up for it.